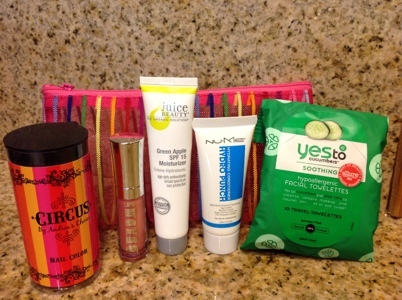 So one my all time favorite naturalistas is having a giveaway!! (inserts happy dance) She has been one of my motivators in my process to transition to natural and she continues to be my motivation with my little fro. If you watch her videos you know there is nothing not to love about her. 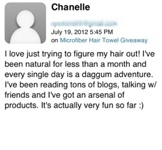 She is amazing and she loves fellow naturals as well, so she’s having a bunch of awesome giveaways. Below you can find the great products that are up for grabs as well as how to enter….So get to watching before its too late! I felt the need to hear your amazing stories and to do so with a giveaway. I decided that for this giveaway I would pick three finalists and then determine which of the three stories I found spoke to me. Thank You all who took the time to share your stories they were great. I took the time to read the stories from these three lovely ladies and one stood out to me…. Please email me BkAphrodite@gmail.com with your shipping information as soon as possible. You have 24 hours to do so. 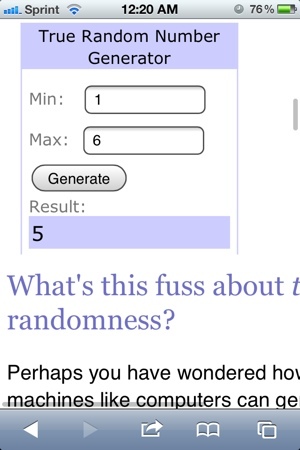 If I do not receive your information I will have to choose another winner. Ladies, I know we love to have our glam day where we get our hair done with amazing products, get our makeup done, and just get glammed up. Well guess what WonderCurl, alongside Makeup by Holly, LocXurious, and NaturalStyle Magazine have a contest for you. Yes a day of glamour for free!! 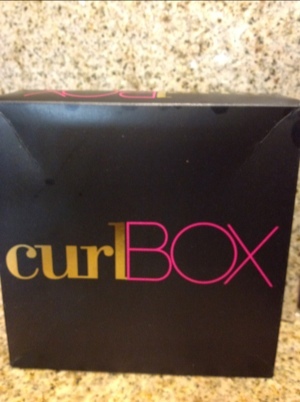 Got my July CurlBox and yet again full sized products!!! Now tell me that ain’t fly! We have been getting so many full sized items. We gotta love Myleik for this. This months box was pretty simple, well at least for me. So let me give you the scoop, three random people got Huetiful hair steamers. 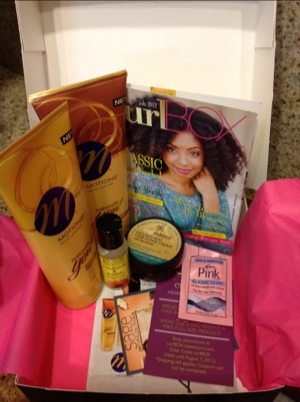 Poor me was having dreams back to back about winning one from my July CurlBox. It didn’t happen but, I’m telling you it has to. I will soon be united with my Huetiful. Congrats to those three lucky folks, enjoy it for me! I leave you with this “Whatever you think, think the opposite”. I was most excited about the lip polish, being that I have been playing around with lip colors a tad; it looks rather fierce. Those facial towelettes; a lady can always use those. Maybe a review or two will be in the near future. 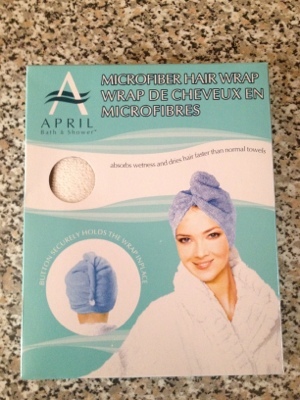 I have heard numerous curlies say that microfiber towels are the best on their hair and put it to use. When using this item I found that my hair was not dried out after a wash and was less frizzy. Being that I love my fellow naturalistas I decided I will help you keep moisture in your hair and elimate frizz. I am giving away a microfiber towel!!! 3) Comment below with what you love most about your natural hair. I mentioned a couple days about Vatika Oil and you make have been wondering, what the heck it is. So I decided to share with you all some information about Vatika Oil. It has worked wonders for my hair. When applied to my dripping wet hair it immediately hold in the moisture. When your dripping wet hair stops dripping after applying a sealing oil you know its real. It also is full of rich ingredients and oils that help improve the health of your hair and scalp. There are two types if Vatika Oils; enriched coconut oil and enriched almond oil. The particular Vatika oil I use is the enriched coconut oil. Triphala, Brahmi, Henna, Neem, Lemon, Rosemary Oil, Kapurkachri, Soya Extracts. All of these oils helps to strengthen hair, promoting growth, preventing dandruff and dry scalp as well as minimizing the amount of split ends one may have. Be sure to look into purchasing Vatika Oil your hair will thank you.